Available as a three volume set. 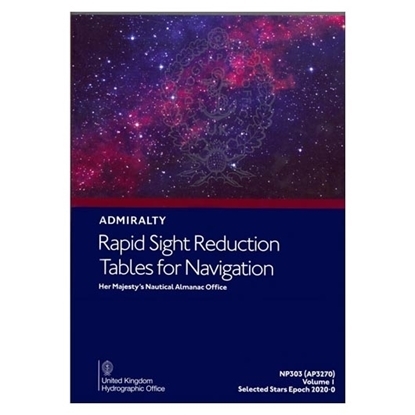 Volume 1 is aimed at the navigator using astro-navigation and provides the optimum selection of stars for a three-star fix. Volume 2 covers latitudes between 0° and 40°, with Volume 3 covering latitudes between 39° and 89°.